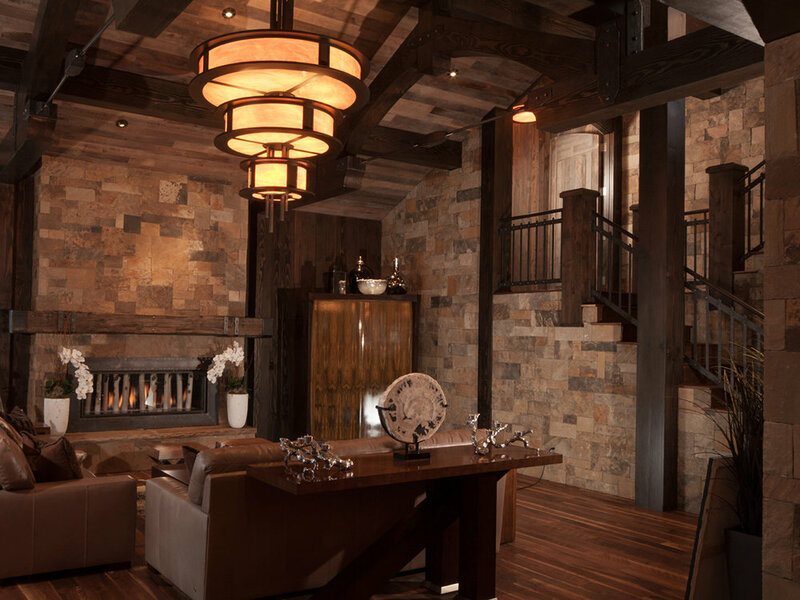 With soaring ceilings and heavily textured floor-to-ceiling finishes in reclaimed woods and exotic stones, this dramatic mountain house was ideal for its bachelor owner. Interior designer Annette Phan envisioned a chic yet masculine modern look that fully embraced its surroundings, and asked Hammerton to design lighting to suit. The combination of high ceilings and a tactile-heavy aesthetic, however, created a difficult design dilemma. The home was yearning for bold, voluminous light fixtures, but the interiors couldn't handle more visual weight amidst all the richly textured finishes and beefy furnishings. Says Hammerton design chief Levi Wilson, "The lighting had to provide volume, contemporary drama and a distinctly masculine feel without the mass and weight typically associated with large fixtures. So choice of materials, design and detail were all critical." For the larger spaces in the house, the Hammerton team designed a series of contemporary silhouettes featuring loosely assembled geometric forms, and selected an airy palette of fused glass, light mica and woven mesh materials. Fixtures in bathrooms and secondary spaces feature simpler, yet equally sophisticated designs that showcase artisan glass and other handcrafted materials. 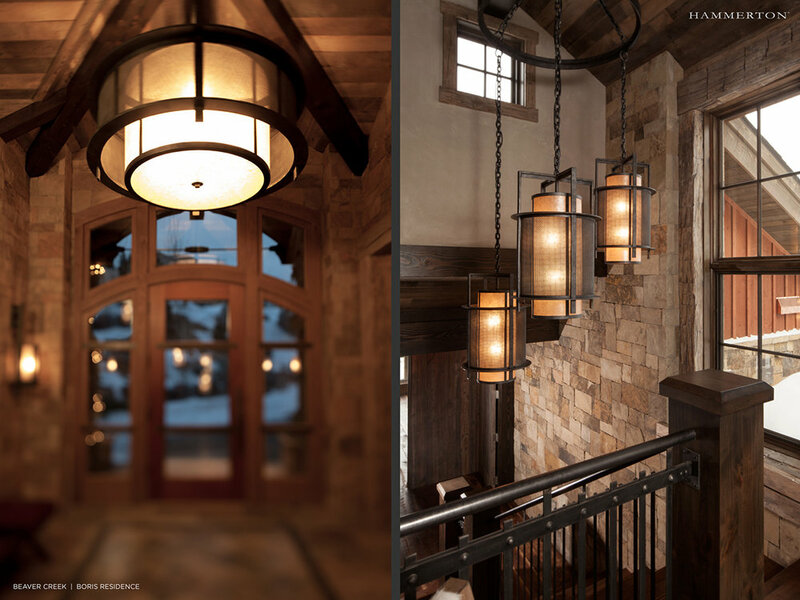 Throughout the home's lighting, steel is incorporated only sparingly as a structural or decorative element. Each fixture offers a unique interpretation of the overall aesthetic vision, which adds a pleasing element of surprise to each space.